Radiators can make a room nice and toasty. They also may create a nice aesthetic in your home. But what happens when they stop functioning properly? And why do these issues occur? Why isn’t my radiator hot enough? If the radiator is cool on top but warm on the bottom, air is likely trapped in the top. This problem has a simple fix – bleed the radiator. Find instructions how to do this here. 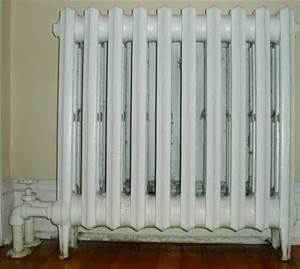 If your radiator feels hot at the top but cold on the bottom, there may be a buildup of sludge at the bottom. In order to improve performance, this must be removed. There are several methods you could use, including adding central heating cleaner into the radiator. Why does my radiator make a banging noise? The boiler thermostat could be set too high or malfunction. Low water pressure in your heating system. According to HomeMaintenanceInfo, buildup of dirt and scale may cause the hot water to release gases crystallize on impurities. Why is there water on the floor by my radiator? To fix it, the website suggests you turn off the system and tighten the valve nuts. If that doesn’t work, you will have to replace theme nuts. Radiators are great, but if yours have issues and you’re not sure what to do, call Eyman Plumbing Heating & Air at 402-731-2727. We are here to help you.